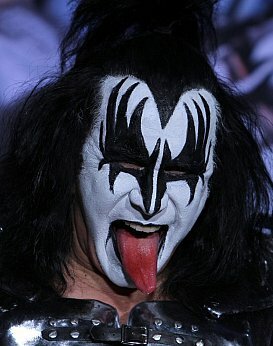 Trust Gene Simmons of Kiss to inject some controversy into the band's induction into the Rock and Roll Hall of Fame today (April 10, US time). While so many others are happy to take the accolade, do the handshakes and attend the slap-up dinner, Simmons was blunt and got the headline. He recently told a US radio jock that hip-hop doesn't belong in the Hall of Fame, and nor do disco artists like Donna Summer. "They can run their organization any way they'd like,” he said of the Hall of Fame committee picking rappers and glitterball acts, “but it ain't rock! It just isn't! If you don't play guitar and you don't write your own songs, you don't belong there." Perhaps Simmons was just playing catch-up with his bandmate Paul Stanley who recently objected to Robert Hunter – lyric writer for the Grateful Dead and others -- being inducted with the Dead (“a writer who never played an instrument”) and furthermore . . . 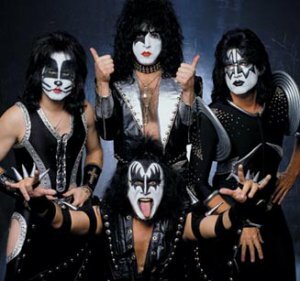 Kiss' original line-up of Stanley, Simmons, Peter Criss and Ace Frehley are being inducted, but Criss left them in '80 and Frehley in '82. So Stanley and Simmons wanted their replacements Eric Singer and Tommy Thayer to be inducted also because they “have been in the band for decades and played on multiplatinum albums and toured the world”. And that's why Kiss, in whatever line-up, said they wouldn't play at their induction this month. 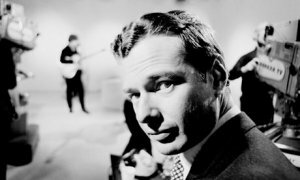 Simmons and Stanley might have also raised their voices about two other inductees this year, Brian Epstein (right) and Andrew Loog Oldham (who is boycotting the ceremony). 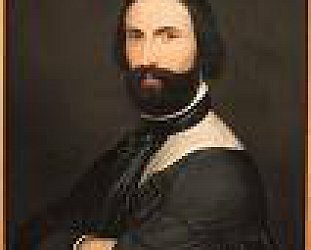 Neither of them played an instrument, they managed the Beatles and the Stones respectively, Oldham also founding the Immediate label. So the rules for induction to the Rock and Roll Hall of Fame seem fairly flexible. Although to be fair there are categories for people like Epstein and Oldham (right), record company bosses like Ahmet Ertgun and others deserving of recognition. But let's see who – other than Kiss and those two legendary managers – got recognition on April 10 at the Barclays Centre in Brooklyn. 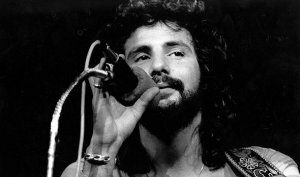 That well known rocker Cat Stevens (now known as Yusef Islam) alongside Hall and Oates, Nirvana, Linda Ronstadt (who recently announced her retirement from music due to the onset of Parkinson's Disease), Peter Gabriel and the E Street Band. 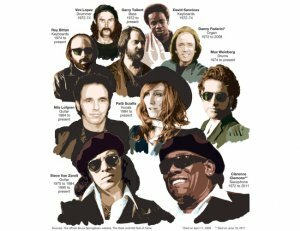 And that last one is interesting given Mr Springsteen/Patti Scialfa and guitarist Nils Lofgren arrived further down the track . . . So as reader service let's helpfully pick three albums by each of these acts which are persuasive evidence as to why they should be there in the Hall of Fame alongside Abba, the Beach Boys, Beatles, Madonna, Frank Zappa and, yes, Grandmaster Flash, country singer Bill Monroe, jazzman Jelly Roll Morton, gospel singer Mahalia Jackson and radio DJ Alan Freed. The band that seemed to model itself on what a 13-year old manga-obsessed Japanese boy might think a rock group looked like. And that was a good thing. Kiss (1974): Although they would go on to bigger things and higher-heeled boots this debut staked out the ground. The title of the opening song says it all, Strutter. Alive! (1975): Cherry picking the best of their three previous albums this double album captured the excitement of the band at an early peak. Destroyer (1976): Opening with Detroit Rock City and including God of Thunder, this was their first million-selling album in the US and from then on they were unstoppable, both as band and a marketing machine. Ace Frehley wrote a decent autobiography which is reviewed here. 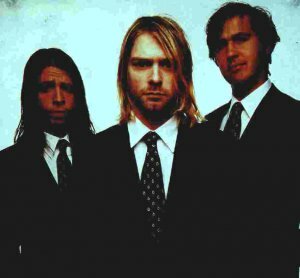 Nevermind (1991): The album that launched a thousand grunge bands, put Seattle on the music map again, and started to emotionally cripple Kurt Cobain. Still a classic pop-rock album though (see here). MTV Unplugged (1994): Stripped back to showcase Cobain's songwriting skills – in places it sounds like The Beatles' White Album which he much admired – but also democratically inviting in covers of Bowie, the Meat Puppets, Vaselines and rather improbably Lead Belly blues. 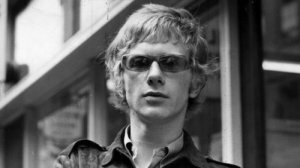 From psychedelic pop in the late 60s he became the archetypal British singer-songwriter and delivered memorable classics in the early Seventies. Tea for the Tillerman (1970): Smart, social conscience songs (Where Do the Children Play?) alongside bedsit ballad (Wild World) an the MOR radio favourite Father and Son. Classy. Teaser and the Firecat (1971): A few hits (Morning has Broken, Moonshadow, Peace Train) and more cleverly polished folk-pop. Foreigner (1973): Delivering another Tillerman or Teaser might have been the easy option but this much more ambitious album – one song is 18 minutes long – alienated most fans but shows just what an ambitious writer he could be. Blue-eyed soul with good hair and a moustache. Abandoned Luncheonette (1973): With slick studio musicians, a smooth gloss in the vocals and produced by Arif Mardin, H&O made their mark as practitioners of Philly soul with this one, and tellingly their song She's Gone was covered by black artists Tavares and Lou Rawls. 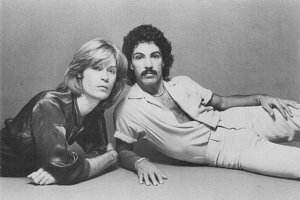 Private Eyes (1981): More polished rock'n'soul music which, although often disparaged by clever critics, has hooks a plenty. H2O (1982): Located somewhere between emerging New Wave, pure pop, their template of blue-eyed soul and MOR, this was further proof of their durability and popularity. It's hard to shake off Maneater. The Wild, The Innocent an the E Street Shuffle (1973): This is where 50s rock'n'roll, 60s soul and Bob Dylan all met in a seaside bar in New Jersey and rewrote the book of rules. Born to Run (1975): It might have taken them a long time in the studio to get this right but here the band paint in the landscapes, streets and characters behind Springsteen lyrics. The River (1980): Some might say Darkness on the Edge of Town would be a better pick, or even Live 1975-85, and they may well be right. But this double set is just rocking pop'n'roll and the band sound like they are having fun, or getting down with the darker moods. 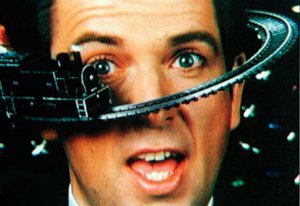 Peter Gabriel 3 (1980): The one with his face melting and which includes Biko and Games Without Frontiers. Some scary stuff here (Intruder, Family Snapshot) but the darkness suited him. A standout in a long career, considered in depth here. So (1986): One of the most experimental albums in his catalogue but which also sprung the hits Sledgehammer and Don't Give Up (with kate Bush). Intelligent rock doesn't come much more crafted and crafty. Passion (1989): Cheating perhaps as the musical weight largely falls to other but for the soundtrack to Scorsese's Last Temptation of Christ, Gabriel used music by exceptional world music types like Nusrat Fateh Ali Khan and Hossam Ramzy. This is the exotic and emotionally moving result. For more on Peter Gabriel past and present see here. Remember Donny and Marie Osmond singing about how she was a little bit country and he was a little bit rock'n'roll? Ronstadt was both. And sometimes more than a little bit of each. Heart Like a Wheel (1974): In which she proved she could bend rock'n'roll (When Will I Be Loved), classic soul (Dark End of the Street) and folk (the title track) into something her own. Her fifth album, but the career starter. Hasten Down the Wind (1976): Songs by Willie Nelson, Warren Zevon, Ry Cooder, Buddy Holly and others never sounded so fresh. Adieu False Heart (2006): Recorded with Ann Savoy, this was a real return to some (perhaps imagined) roots in glorious Cajun and bluegrass music, but also knocked in a terrific cover of Walk Away Renee and a couple of Richard Thompson songs. You can read about it here. 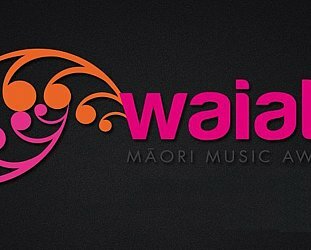 THE VODAFONE PACIFIC MUSIC AWARDS FINALISTS (2017): The envelopes please . . .